Thank you for reading this handbook, for you support of its contents, and especially for the opportunity to work with your sons and daughters! Our organization can reach its potential only if we have your active support. There are several ways in which you can provide support and encouragement for your child: attending performances, encouraging home practice, and providing private lessons. Assisting him or her in meeting responsibilities provides incentive for your son or daughter to do well. In addition, it will improve the quality of the band program. It is no secret that the success of our band program is due in part to the tremendous support of the parents. Your signature on the Parent/Student Agreement Form is our indication that you are thoroughly familiar with the contents of this handbook. We hope that you will enjoy being a part of our organization! Music is a subject which affects all sides of a students personality. This includes the intellectual, the physical, the emotional, the psychological, the spiritual and the social. Instrumental music teaches the appreciation of music as an art form. It engages students in a group activity which allows them to use their free time constructively. Instrumental music creates in students a sense of cultural awareness as well as an aesthetic awareness of life. It instills proper values among which are; responsibility, seriousness of purpose, devotion to duty, spirit of cooperation, and sensitivity to beauty. It develops proper work habits through the academic self discipline of its curriculum and a daily practice routine. It develops the ability of self expression and develops intelligent listening skills which foster greater communication. It provides the proper vehicle for the support of a schools Athletic Program which helps to establish a positive and enthusiastic school spirit. Through cooperation by parents, students and the Northwest Independent School District, our program is designed to meet the needs of all students. Every part of your participation in the BNHS Band must contain these three elements. Whether practicing your instrument, behaving properly on a trip, or wearing a uniform representing Byron Nelson High School, these three elements are our backbone and make us what we are - The Byron Nelson Band. We have begun a tradition of superior performances. We believe that external discipline creates internal discipline or discipline that the students demonstrate on their own. Pride is taking what you do seriously. Pride is enjoying what you do. Pride is having a desire to succeed in what you do. Pride is respecting yourself and others around you. Pride is a state of mind. A persons quality of life is in direct proportion to their commitment to excellence - whatever their field of endeavor. Considered the first & second performing ensembles. In order to be in these groups, students must demonstrate the highest level of musical maturity, technical proficiency, and commitment to rehearsal and practice time. Students must seriously pursue individual goals on their instrument as well as working toward ensemble goals. Auditioning for all-region band and playing a solo at solo and ensemble competition is expected. Private lessons are strongly encouraged. This group will perform at the December and May concerts. The focus of this group is development of skills with emphasis on fundamentals. The concert band will participate in UIL concert and sight-reading contest. Preparing a solo is required and participation in the NISD solo and ensemble contest is also required. Private lessons are strongly encouraged. The Marching Band is the largest performing group at Byron Nelson Band High School. The band performs at all varsity football games, at least two contests, and occasional guest appearances. Once a student has been accepted into the marching band, he/she must abide with the policies in this handbook and maintain passing grades in order to qualify for marching performances. A. There are normally two band camps, one occurring the week after school is out, and the other occurring in early August before school begins. When a student is absent from both rehearsal and school, the situation will be assessed by the directors. The first week of band camp will be an explanation of attendance expectations; the second week, we will implement the system, but attendance records will be cleared once school begins. Percussion is a class during both semesters. This ensemble works as part of the marching band and toward other competitive festivals. All BNHS percussionists will be a part of this class. Percussionists are required to be enrolled in the band program for the entire year. This is a full year class offered as part of the marching band in the fall semester and as the winterguard in the spring semester. This group works toward competitive festivals as part of the BNHS Marching Band in the fall. WINTERGUARD is the activity for the spring semester, which involves movement, equipment, dance and drill. It rehearses as a unit, both during class and outside of the school day. Auditions for colorguard are in the spring semester and are open to any student. This group has a few extra costs, but is a very integral part of the band program. The Jazz Band is an ensemble that is composed primarily of players from the concert bands. An audition is required for membership. Attendance at all rehearsals and performances is mandatory. Any non-compliance will result in removal from the group. The ensemble is designed to expose students to the jazz idiom. Preparation for and participation in all-region jazz auditions is encouraged. Assignment participation during the previous semester. Students may be moved from one ensemble to another during the year at the discretion of the director based on the above criteria. The criteria of placement in our ensembles is the level of proficiency at which the individual student has attained on his/her particular instrument. Students may be reassigned as a reward for great progress, or reasons that may be damaging to the growth and welfare of the ensemble including eligibility, behavior, and attendance. Attendance With our limited rehearsal time, it is imperative that we make the most of each rehearsal. As a member of the band you have an obligation to your fellow band members to be at all rehearsals on time, to be prepared, and to have all necessary equipment. All band students must abide by the Byron Nelson High School attendance policies. Special circumstances that are pre-approved by the Directors. All absences and tardies are to be documented by the parents in writing to the directors. In case of illness of family emergency, an explanatory email or telephone call to the directors is appropriate-prior to the rehearsal/performance. NO FOOD, GUM, OR DRINK ALLOWED IN THE BAND FACILITIES EXCEPT WATER. Students should not enter the band offices without permission. Large instrument cases are to be kept in lockers during rehearsal. Other personal items must be kept out of "traffic areas" of the band hall. You will be assigned a locker for your instrument and music at the beginning of each year. You will be required to buy a combination lock (unless you have a school owned instrument). You will give the serial number and the combination to the directors to be kept on record. You are to use only that locker. Lockers are to be kept trash free and in neat order. Your music binder, flip folder and instrument are to be kept in your locker. Your lock should always be locked when you are not present at your locker. . If any items are left in the band hall over night they will be put in the designated lost and found. The lost and found will be emptied weekly and contents donated to local charity organizations. Band hall chairs and stands are not to be removed from the room unless requested by the director. The library is off limits to all band members except officers, and staff, and then only to conduct band business. No one is to use the copy machine or audio/visual equipment without permission. Practice rooms are for practice, play offs, or private lessons only. Any damage of school property must be repaired, the item replaced, or a reimbursement made immediately. The band department assumes no responsibility for personal items stored in the band hall. Students that play school-owned instruments will be required to pay a $50.00 per semester instrument fee. This is a NISD policy. The instrument fee is used to pay for routine maintenance for the instrument. Any damage other than that caused by normal usage will be assessed to the student. This fee will be due at band registration. Keep your instrument in good, working playable condition. Keep instruments in cases with latches closed and in assigned lockers when not in use. Brass players should clean their horns regularly, keep valves oiled, and slides greased. Brass: Do not hit or force mouthpiece into your horn. Brass: Make sure mouthpiece is secure. Brass: Polish your instrument before a performance. Woodwinds: Always swab your instrument. Woodwinds: Have at least three workable reeds. Woodwinds: Always have a mouthpiece cap, and take the reed off when finished. Do not play on percussion instruments unless you are a percussionist. If damage to percussion instruments occurs, contact a band director. Keep sticks, mallets, etc. in stick bags. All percussionists should have their own stick bag and mallets as required by the percussion director. Keep all flags, rifles, and sabers in the appropriate places in the guard room. Keep tips of all equipment taped and in good condition. If guard equipment is left in the band hall or on the practice field, see the director than have it returned. Do not allow non-guard members to spin your equipment. Always use pencil-never ink-when marking in music. Write your name on every sheet of music. Keep a pencil in your music binder at all times. Keep your music in the plastic sheets inside your binder. Private lessons are strongly encouraged of all band students. By improving all the individuals in the band through individual instruction, the overall quality of the entire program will continue to improve. Students studying privately take a 1/2 hour lesson per week. Private teachers are provided and do all teaching at BNHS. Each 1/2 hour lesson costs $20.00. Scholarships are awarded by the band director on the basis of need. To be considered, the students should meet privately with one of the band directors. Scholarships are available for students studying with teachers at BNHS who are approved by the directors. 1. Students will be expected to have the proper frame of mind prior to and during rehearsals and performances. Incorrect warm-ups or boisterous behavior is inappropriate. buses, and at official band functions. 5. Inappropriate language is unacceptable during all band functions. 2. Have appropriate clothes and shoes for rehearsal. 4. Make sure you have your instrument and Drill Book. 5. Hydrate yourself and eat well on rehearsal days. 1. Give coordinate chart to section leader. 2. Take pit equipment all the way to the drum room. 3. Put away everything, this includes anything taken outside such as flip folder, water bottle, and music. 4. Brass warm down as needed. 5. Keep up with schedule/calendar, the office phones are only to be used if absolutely necessary. 6. Make sure you are physically fit enough to participate in this organization. 1. Respect rehearsal field, this includes no cursing, spitting on, littering, and no peeling out. 3. Do not sit on field unless instructed to do so. 4. Set coolers and equipment in organized place off the field. 5. When setting down equipment, know which one belongs to you. 1. Performing starts with the word "set" and ends with the word "check." 2. During performance, use correct body alignment and position. 3. When performing, project energy, confidence and awareness. 1. Behaving appropriately in the stands is essential in order to give an outstanding performance. 2. Each band member is to remain in his/her assigned seat during the entire game unless given specific permission from a band director or drum major. 3. Hat and gloves are removed as a group in the stands. 4. All other uniform parts are to stay intact, including collars fastened, unless specific permission is given from a band director. 5. Only organized playing is allowed. 6. You only play your written part for a particular piece of music. 7. You may drink only water in the stands. 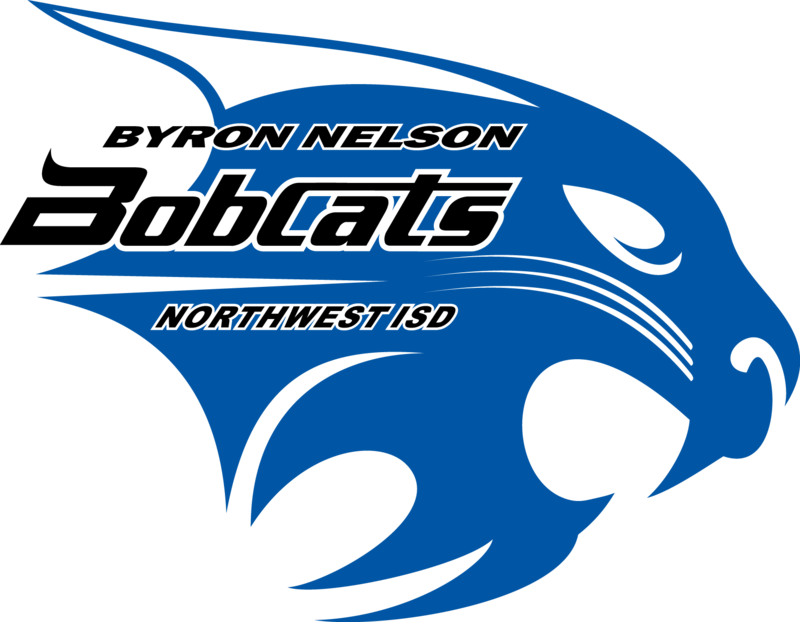 The Byron Nelson Band Parents will provide water during the game. 8. There is to be NO FOOD, candy or gum or cell phones in the stands at any time! 9. When you are in the stands, you are performing and have an audience. Be respectful of parents, chaperones and other students. 10. You will be dismissed from the band hall after every marching performance. You may not leave before the game is over and you must attend roll call afterwards in the band hall. 1. The disrespect toward other organizations through the internet or other means of conversing is unacceptable. 3. At contests, respect and appreciate the time and effort other bands have put forth into their program. You can always congratulate the winner(s) for their success no matter what the competitive atmosphere is or was. 4. Band members serve as representatives of Byron Nelson High School. Polite and courteous behavior is a credit to the band organization, to the school, and to the parents. 5. Rude or degrading comments made by other bands should be ignored and not responded to. Pep Rallies are required performances. All band students must participate in all Pep Rallies unless specific permission has been given by a director. Your behavior in the pep rally is to be the same as your behavior at a football game - exemplary of what the BNHS Band stands for - Pride. Football games are required performances. Please review the section entitled Attendance. Each football game will begin with Inspection in the Band Hall. Marching Band attendance guidelines and policy apply to Inspection. The band begins its performance the moment the drum majors call you to attention and is not completed until you are dismissed from the band hall after the game. Uniform Issuance: The Band uniform is something you should always wear with pride. Participation in the program and the use of the uniform that comes with it is a privilege. Uniforms will be issued in early August and stay at school. Any uniform part that is lost or damaged is your responsibility to replace. 2. MARCHING UNIFORM - The coat should be worn completely fastened at all times when in public unless otherwise specified by the directors. The band shirt is to be worn under the uniform coat unless there is another shirt designated by the directors. This allows the band to have a uniform appearance if the coat is removed. The pants should be worn properly at all times. 3. SHOES - Shoes are to be kept clean and polished. Only marching shoes and socks are to be worn with the marching uniform, and black shoes and socks or neutral hose with the concert uniform. 4. CUMMERBUND (men's tux only) - pleats go UP. 1. There will be no variations from the proper wearing of the uniform, unless designated by the directors. Sunglasses are appropriate only for non-uniform performances. 2. Never wear a cap or hat other than the marching shako while in uniform. 3. Uniforms are to be stored at school and will be cleaned together on a regular basis, with a fee assessed. 4. The uniforms must be hung immediately and properly after each performance. 5. Do not exchange parts of your uniform with another band member. 6. Entire designated uniform should be worn at all times. 7. Jewelry is not allowed, with the exception of small stud earrings that do not distract from the uniform. 8. If hair needs to be held back, only use black headbands, etc. that do not distract from the uniform. 9. Fingernail polish is not allowed, with the exception of clear polish. 10. If you lose, damage, or have any problem with any part of your uniform, see a band mom or director as soon as possible. 11. No running while in uniform. 12. No food while in uniform. 13. Always have a garment bag to protect uniform. 14. Refer to student conduct for other specifics. 1. When buses are provided, all performers will ride the bus both going to and coming from the event. Exceptions to this rule require written personal requests by the parents prior to the event. Even then, the final decision is left to the director and principal. 2. For football games, students may be assigned to a specific bus prior to departure. Riding on a bus other than the one to which you are assigned is not permitted. Students are required to obey the driver, chaperone, and student officer in charge. 3. The NISD prohibits loud talking, foul or abusive language, standing in aisles, or sitting on the backs of seats while on buses. Hands, feet, arms, legs and head must remain inside the bus. 4. No food or drink is allowed on buses unless approved by the directors. 5. Public displays of affection are not permitted on the bus. The leadership team will be asked to assist the chaperones in enforcing this. However, if everyone acts in a mature and responsible manner, no enforcement will be necessary. 6. On long bus trips, mp3 players may be used with headphones, at the discretion of the sponsors and/or bus drivers. 7. Instruments and other equipment will be carried on the bus and/or band trailer. Each student is responsible for placing their instrument in the loading area. The pit dads are not responsible for any equipment not placed in the loading area. In short, every band member is responsible for his own instrument and equipment. 1. Our band takes major trips that may last three or more days. At the beginning of a "trip year", information regarding the costs, methods of payment, fund raising, etc. is made available to the parents. 2. Just prior to the trip, parents and students are given copies of the itinerary, special guidelines, medical releases, etc., which must be signed and returned. Insurance will always be provided while the band is on a major trip. 3. See Bus Procedures for travel guidelines. events for the students require entry fees. For example,instrument fees, entry fees for solo and ensemble contests and All-Region fees. All of these fees are due in advance of the actual performance or audition. All money must be paid before the student can participate in the performance or trip. Many times the Band writes a check to cover the entry fees and then we are left with outstanding balances for a great number of students. We are always willing to work out a payment plan for students to avoid this problem. Please feel free to send cash or a check with your student. Band envelopes are found outside Mr. Weeks office. Students are to fill in the information on the envelope and drop the envelope in the slot on the top of the safe in the Band Office. The BNHS band offers numerous opportunities for students to hold leadership positions. These offices enable the students to develop their individual skills as well as contribute to the quality of the band program. We have two types of offices: (1) elected (2) appointed. 1. Officer candidates must not have a grade lower than 70 in any course during any six weeks prior to election or at any time during the term service. 2. Officer candidates must not have any ISS or any other suspensions. 3. Officer candidates must show that they are avid supporters of the band program by exhibiting a positive attitude, faithful cooperation, eagerness, promptness, etc. Students wishing to earn a letter jacket must achieve certain requirements in order to be considered. In addition, students must show a high level of commitment to the program. *Students may only earn a total of 4 points in a school year for participation in an All-Region ensemble regardless of how many ensembles they participate in. *Students may only earn a total of 3 points for a solo and 3 points for an ensemble during a school year. Points may be earned at the NISD Solo & Ensemble contest or the UIL Solo & Ensemble contest, but not both. *Points earned during a school year do not carry over to the following school year. *Students must be enrolled in a competitive group during both semesters of the year in which they are lettering. *Students who have been enrolled in an organization for their entire high school career, and who were academically eligible for their entire junior year, may be eligible to letter during their senior year. *All lettering requirements require director approval and recommendation. Each year, the Byron Nelson Band will hold a banquet to honor the achievement of the students in the band program. Please plan to attend this evening as it is a special time for students and parents to reflect on the bands accomplishments.